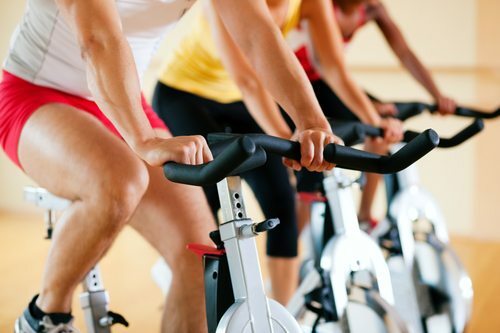 Fitness exercise bikes can be used inside the home or in fitness clubs. Many people use cardio equipment to maintain their health and stay in physical shape. Recumbent bikes are extremely popular because they give the user a lot of cardio exercise, which strengthens your heart. There are many benefits of using an exercise bike. 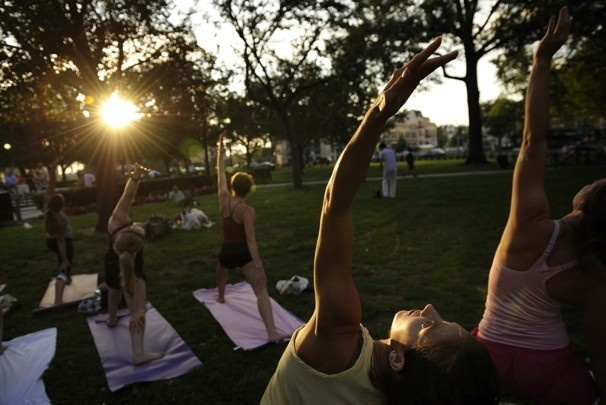 The majority of people today do not get enough daily exercise. Our society has evolved with technology such as cars and other forms of transportation. Many people are working 40 hours a week and do not have time to exercise. They are not exercising and their health is deteriorating in the process. One thing that is great about an upright bike is that you can place them anywhere inside your home. You can ride your bike while watching television. Thirty minutes a day, three days a week is a great start to getting the right amount of exercise you need. You can always get on your own equipment and ride it any time you want. If it is raining outside and you want to ride your regular bicycle, you are unable to do it. With an exercise bike, the weather can be awful or you can suffer a power outage, you can still ride it. Having an exercise bike inside your home is very convenient and you do not have to worry about going to a local gym. You can just stay at home and develop an exercise routine that fits your needs. Many Americans die from heart disease each year. Heart disease is one of the main causes of fatalities in the United States. Why? We are not exercising enough. You do not have to do indoor biking. You could do outdoor biking. More and more communities are building bike trails available for public usage. Ever considered dance aerobics? That will boost up your cardio. Running is also a great way to get your heart pumping. Many sports can also help your heart. There are so many exercises to choose from, you will most certainly find something that works for you. Doing exercises at home will save you a lot of money and time. Going to the local gym in your area almost always requires a monthly membership. Exercising regularly and maintaining a good balanced diet will ensure great health benefits and active life. You will live longer and you will get to enjoy life’s greatest wonders. Exercise bikes are also affordable. You really have nothing to lose. Researching the availability of cycling bikes could be a fun challenge to take on. That is what life is, full of excitement and unpredictability. Choosing the right bicycle and the right exercise regimen for you could well be the greatest investment you will ever make. Also research other health benefits related to cardiovascular exercise. You could even meet some long term friends in the process. This is a victory for you when you purchase a piece of equipment that you like and will use for something besides a clothes rack. You will have a heart of gold once you know the potential health benefits of exercising.